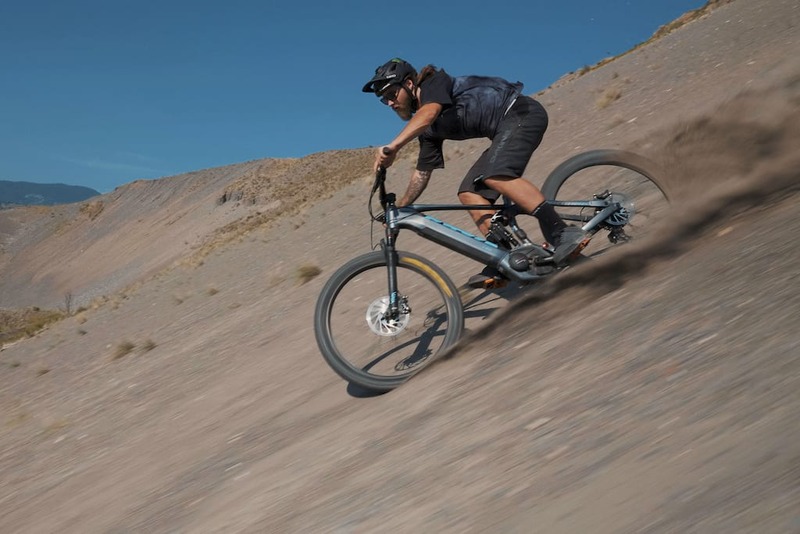 Last week we featured a now deleted video of an extremely powerful DIY ebike – that is, one with a throttle that would be classed as a motorbike in the UK. The creator took the video down because the it showed him riding it unlicensed on roads, and unfortunately, awful internet people started sending him death threats with his home address included. Nothing like that this week, but lifting the lid on that particular subculture of DIY ebike tinkerers revealed an amazing world of people, ranging from skilled builders and designers, to conspiracy theorists in the comments speculating that, for sinister reasons, the bike industry is holding back the kind of powerful ebikes you can build at home in your garage. (Nothing above? Here’s a link to the video). (No video visible? Here’s a link). (Can’t see it? Check it out here instead). (If you can’t see it, follow this link). There’s quite a bit of mockery for “ebike specific components”, but these things are overbuilt compared to normal bike bits for a reason. Here are a couple of reasons why. (No video? Try here to see it on YouTube). This last one isn’t so much a failure of the ebike as a failure of the rider, who might be in the right on a particular point of law where he was riding, but picks exactly the wrong way to talk to a cop. Remember: winding up cops is almost never smart. (Can’t see it? Here’s that link). As with any videos of things going wrong, there are a few ebike fails we’ve not posted here because they showed people either getting seriously hurt, or cut off leaving that ambiguous. If you’re going to mess around with DIY ebikes; stay safe, stay legal, use heatshrink, and for goodness sake double check everything on your home made wiring.